You probably think about using Microsoft Azure to host your WordPress blog. 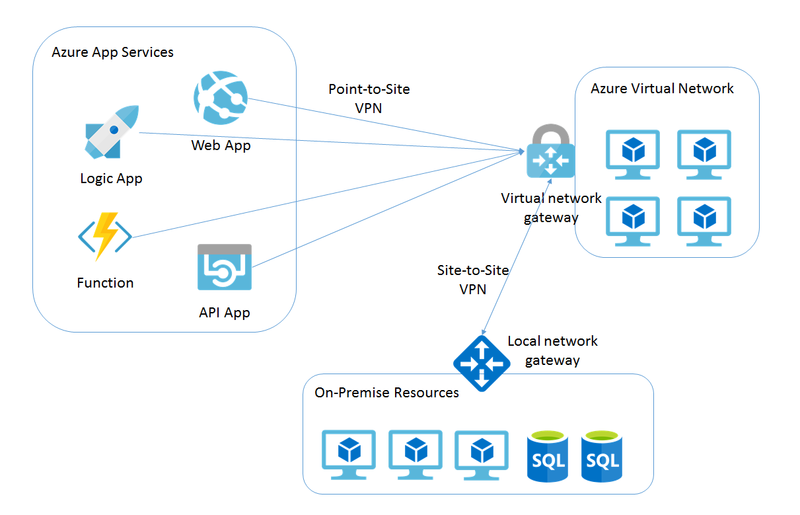 Azure gives you great scalability features that are important if you want to scale up your website. There are also many other services that could be useful for your blog. I created a new WordPress blog in Azure and want to describe in this blog post, which steps I performed and what it needed to set it up to get a full up and running Azure blog. Before creating the new WebApp required for the wordpress blog, I suggest to create the resource group at first. If you do this manually, then you can decide the location of the resource group, if you just create the web app and create the resource group during that step, the default location is US. Let’s assume you have to read data from your on-premise network e.g. from a SAP, ERP or other system. It could also be that you want to have access to your virtual machines in your virtual network. How to connect to your on-premise environment? Simple answer is: via VPN or ExpressRoute! But that’s just a part of the job, you also have to connect the App service to your virtual network at first. If the web app is in the virtual network, you have access to all resources in the network – virtual machines for example. If the virtual network is connected to your on-premise network, you can also access those resources. This blog post is about how to connect the app service to your virtual network and how to design the network. The VPN connection is not part of this blog post.